If any business is looking for growth, I would strongly recommend getting an apprentice…. 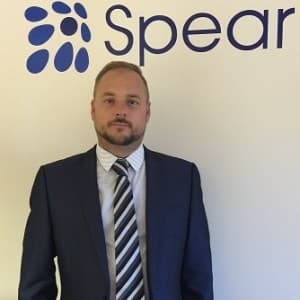 My name is Darren Street; I am the Managing Director of Spear Recruitment Ltd, we are based out of offices in Langley Court in Newport on the Isle of Wight. Along with my wife and children, I relocated from Stafford in the Midlands to the Isle of Wight back in December 2011. I established Spear Recruitment from my dining room at my then home in Hilbre Road, St Helens. 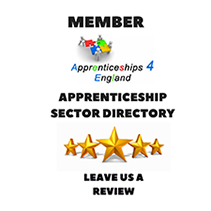 Within 12 months (January 2013) I approached Smart Training and Recruitment to seek an Apprentice, and we were introduced to a 19-year-old man by the name of Ed Hatt. Ed joined the business as a Recruitment Administrator, and it is fair to say that now 4 years later Ed has proved himself as an asset to the firm, he has also grown to become a successful young business man. Spear Recruitment is now a £1m business employing over 20 staff; we recruit staff into the Motor Trade and Estate Agents throughout the UK Mainland. 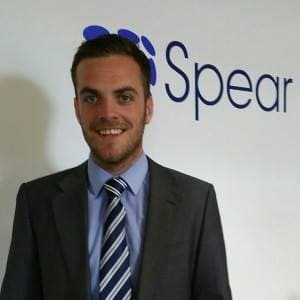 We have recently opened an office in Portsmouth to continue our growth, and we are overwhelmed to announce that from Monday 3rd April 2017 Ed Hatt has been promoted to General Manager of Spear Recruitment Ltd. This means that Ed will now be overseeing the day to day running of the business reporting to myself and my wife Lisa who is the Finance Director. Ed’s story/success I feel must be brought to the attention of the public on the Isle of Wight. Sadly, we often read news stories portraying negativity as too low paid jobs, lack of jobs available and lack of skills. I remember when Ed joined Spear Recruitment in January 2013 he was earning just £600 a month as an apprentice however with his drive, commitment, loyalty and sheer hard work it has paid off because Ed now makes far more than this in just one week! If any business is looking for growth, I would strongly recommend getting in an apprentice. You may just think that your business will benefit by paying a low salary to an apprentice, but to get this right you have to invest your time to develop your apprentice, mould them to your business and eventually like Ed, they will become an asset. As the Managing Director, I and Lisa along with the team of staff, we would like to pass on our congratulations to Ed Hatt, I would also like to thank Smart Training for giving me one of the most valuable assets in my business.